Despite the fact that thousands of shopping malls are closing their doors, some luxury shopping centres are still hot spots for an affluent clientele. One luxury mall in Miami, Florida, is doing particularly well, and some stores are being waitlisted for a coveted spot in the shopping center, according to Bloomberg. Bal Harbour Shops is one of the most luxurious shopping centres in America, and it’s thriving. Many malls across America are currently struggling to keep their doors open, with sales plummeting as shoppers decide to spend their money elsewhere. But some luxury shopping centres are thriving despite the retail apocalypse. Among the most successful of those shopping centres is the Bal Harbour Shops mall in Miami, Florida. Bal Harbour Shops sits in a high-end beach destination and has attracted affluent shoppers since it first opened its doors in 1965. Now, the high-end shopping center is profitable and planning a $US400 million expansion that will involve adding a new wing, including a Barneys New York store. Looking more like a tropical resort than a shopping center, Bar Harbour Shops is home to countless luxury boutiques and restaurants that are thriving despite the mass store closings other malls have seen. Bal Harbour Shops is a luxury shopping center in the beach destination of Bal Harbour, Miami. The mall is a 466,000-square-foot tropical destination with high-end shops, restaurants, events, and more. Luxury cars line the parking lot, with shoppers paying $US30 for valet service. We promise this is REAL! ???? The open-air mall is gorgeous, with palm trees, fountains, and koi ponds throughout. Here’s another look at the tropical shopping center. The Bal Harbour Shops are lined with luxury boutiques. If stores don’t perform well, they will be cut and replaced by other designer brands. There’s a waitlist of stores waiting to get a coveted spot. Midday stroll under the palms! What is your favorite Bal Harbour shop? ???????? There’s a whole row of jewellers, including Bulgari, Harry Winston, Graff, Tiffany & Co., and Chopard. The doors to these stores remain closed, and shoppers have to get buzzed in if they want to go inside. Some of the most popular shops include Gucci, Chanel, and Goyard. There are also six high-end restaurants in the mall, serving Asian, French, Italian, and American food, plus a cafe. Your �Friday is served…Makoto style! ???? ???? 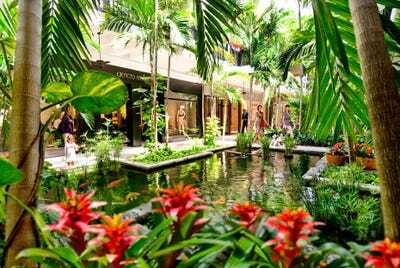 Bal Harbour Shops is more than just a luxury shopping destination. It's a gorgeous Saturday at BHS! 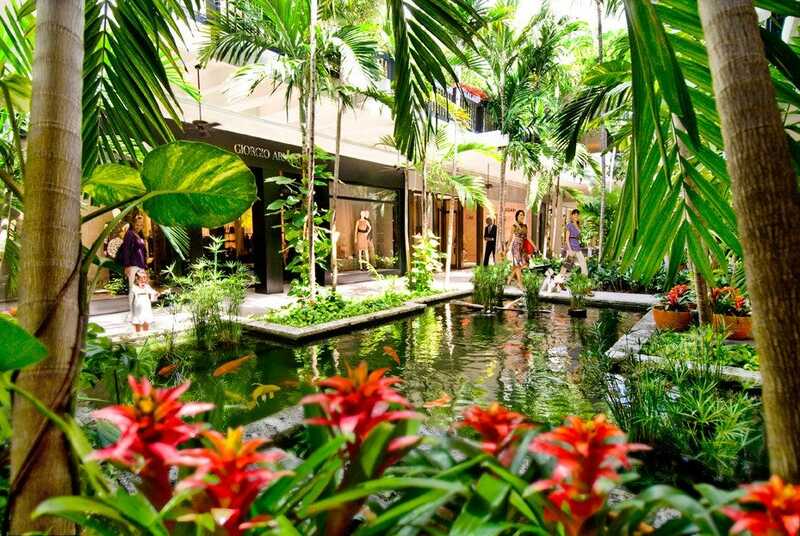 What is your favorite Bal Harbour boutique? It hosts events such as trunk shows, events for fashion bloggers, and exclusive presentations with fashion industry executives. The mall recently hosted a collectors’ weekend for luxury car aficionados. Bal Harbour Shops is thriving despite the retail apocalypse, with a 53,000-square-foot Barneys New York coming as an anchor and a new wing of luxury stores expected to open in 2023.